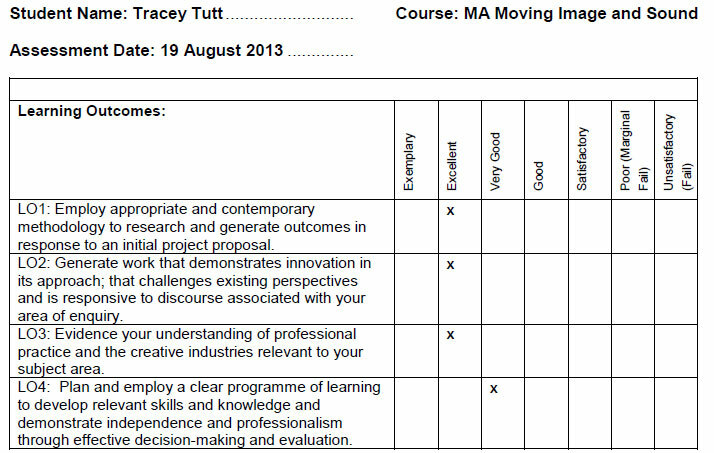 Amazing feedback from Suzie yesterday on my SNU project, if it had been my Masters Project I would have received a distinction, wow. 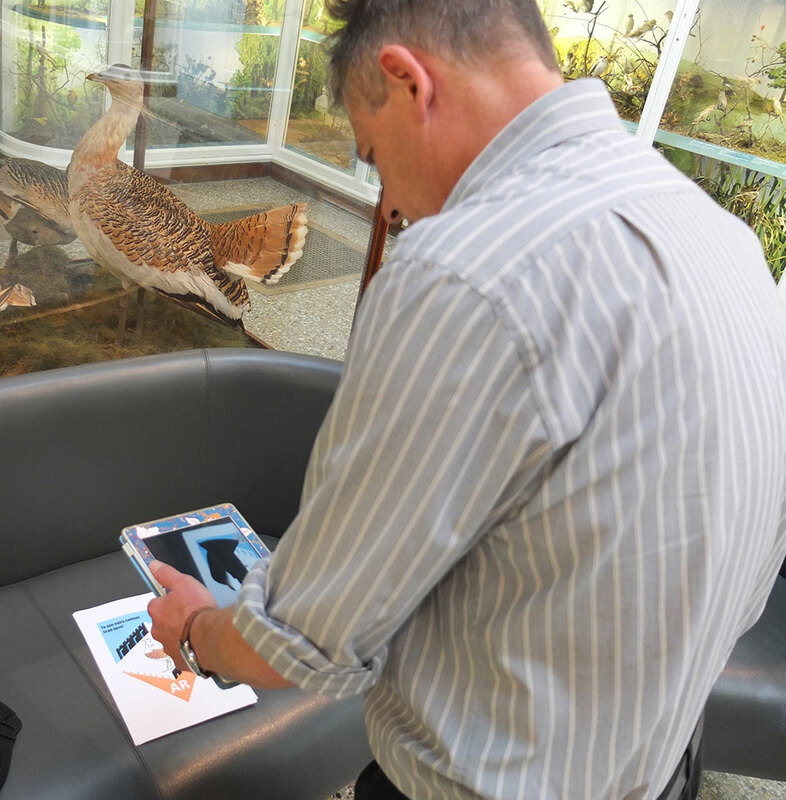 Submitted: Learning Agreement, Blog Journal including research process and Pecha Kucha presentation, Critical Evaluation, Aurasma Augmented-Reality CGI model of Great Bustard. This is a work in progress and has a great deal of potential still to be developed. You can improve your methodology by clarifying stages of design and identification of technological, budgetary, Health and Safety issues, and by separating the elements of the project out more with attention to design layout . Some design aspects such as placement, orientation, readability and size of texts, and potential of adding sonic content could be further articulated. Further research into the use of this area of information systems in museums/galleries would be useful including international practices. 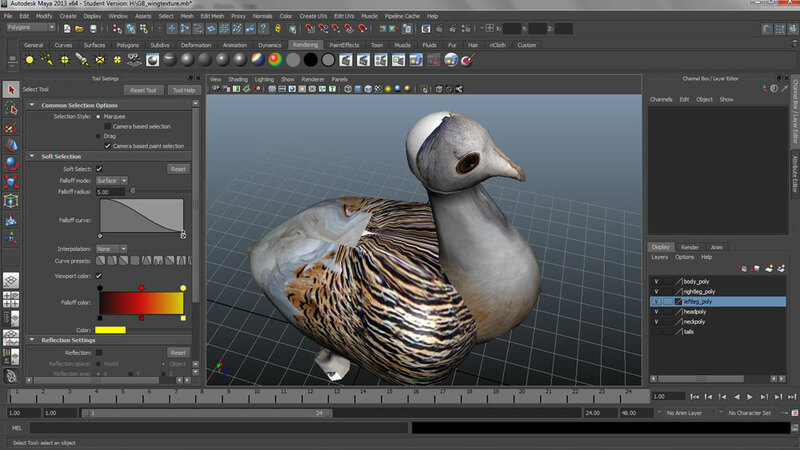 This module has seen me beta test my Masters project, researching current use of Augmented Reality, design of a trigger image/floor graphic and creation of a 3D model of a Great Bustard. 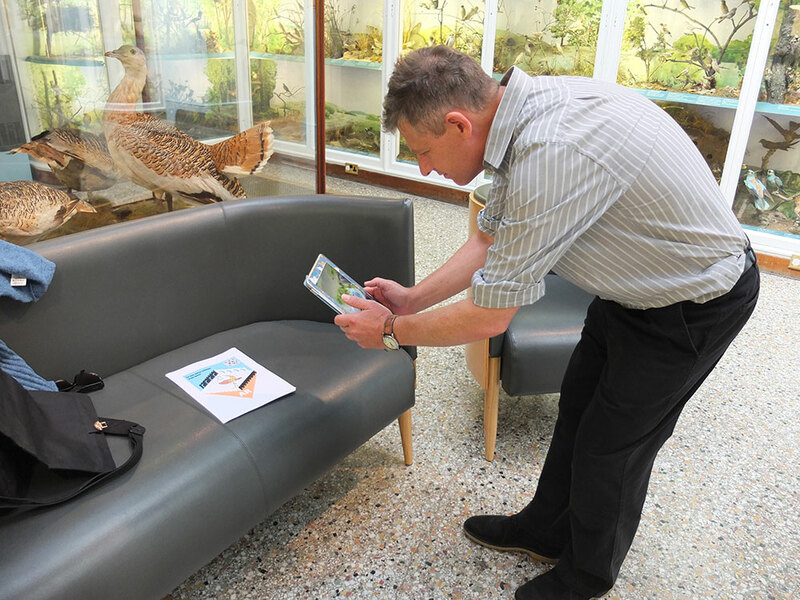 When coupled together and processed through an Augmented Reality app platform the final outcome gives the viewer the chance to see up close and in 360 degrees an animal – that until recently was extinct from British soil – on any mobile device they have to hand. Extra experience, extra understanding and at the viewer’s own pace. I want help bring a very modern movement into the local museum, giving visitors a realistic sight and sound experience, a chance to interact with the virtual exhibit. 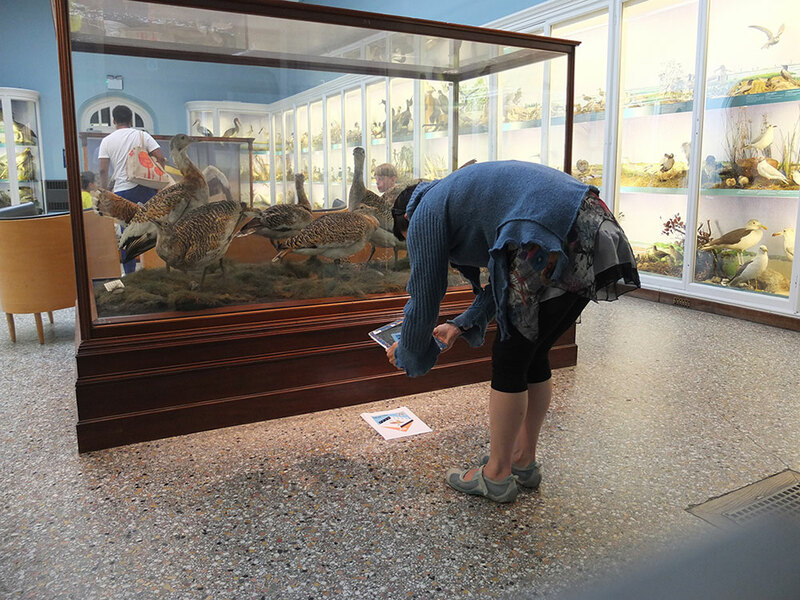 This is my own personal journey to bring more understanding and an extra layer of information to an extinct exhibit in a dry and dusty cabinet in the museum, from the first time I realised the Great Bustard no longer existed in the UK I had a vision of bringing it alive. After looking in the initial stages of AR development at Blippar and Layar, big money commercial players, Aurasma has become my chosen Augmented reality platform, it’s free, easy to use, has an advanced action set and I have been experimenting with it since it’s launch nearly two years ago. 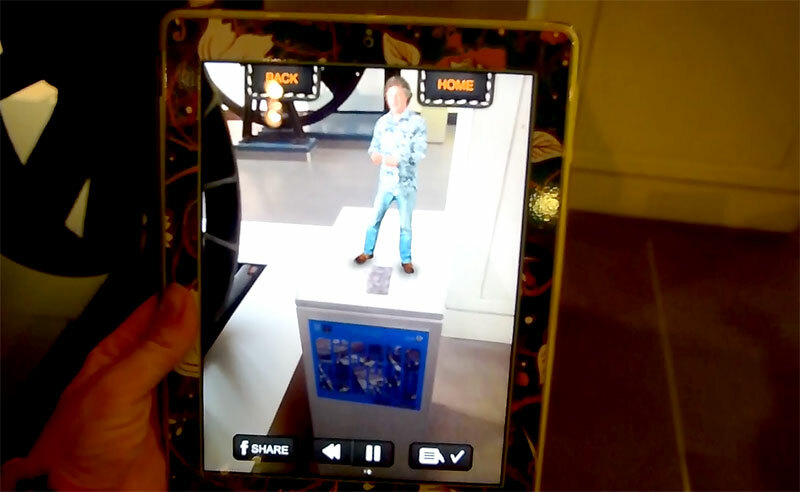 There really is nothing out there quite like my intended finished masters piece, the closest thing in existence that I have found is the James May app at the Science Museum. It uses similar features, a trigger image and when triggered, 3D content appears through the app interface on a mobile device. In this case James May appears standing on top of the plinth over the trigger image and talks to you about the object you are standing next to. For me this is very much a vehicle for James May, the content is not great and relies on you being able to listen to what he is saying, at the time I tested the app I didn’t have any headphones and consequently couldn’t hear a single thing he said, so I had this fabulously modeled digital James May gesturing and opening and closing his mouth. I couldn’t interact with him, no more information appears on the screen and there is no distinction between one trigger and another, they are all the same and it relies on you telling the app the correct exhibit. What I intend to create, you’ll be able to read and see more content, learn the history, see related video clips, interact with it, get it to fly right around the display case, and of course this could be very simply expanded and rolled out with individual trigger images and new content for different exhibits. So although the James May app comes closest, it was a real missed opportunity to let the technology really shine. Looking at other exhibits in the Science Museum and The Natural History Museum and watching how people interact with the objects I know I need to be very careful and clever about how I communicate and implement this technology. People look, maybe take a photo and move on, school children might try and draw it, but most pass through quite quickly unless there’s a button to press. I didn’t see a single person accessing the James May app in the few hours I was there, most people don’t seem to know about it before they come and they don’t have the facility, patience or data allowance to download it on site, so it’s tricky. When I met with Daniel Brightman, the Interactive Designer at the Natural History Museum he showed me their auditorium in which each visitor is given their own device which at the appropriate moment in the presentation, preloaded with the right app and software, shows a 3D model. When talking with Dave Patten, Head of New Media at the Science Museum he told me he would like to use more seamless interfaces such as Google Goggles and digital contact lens technology. 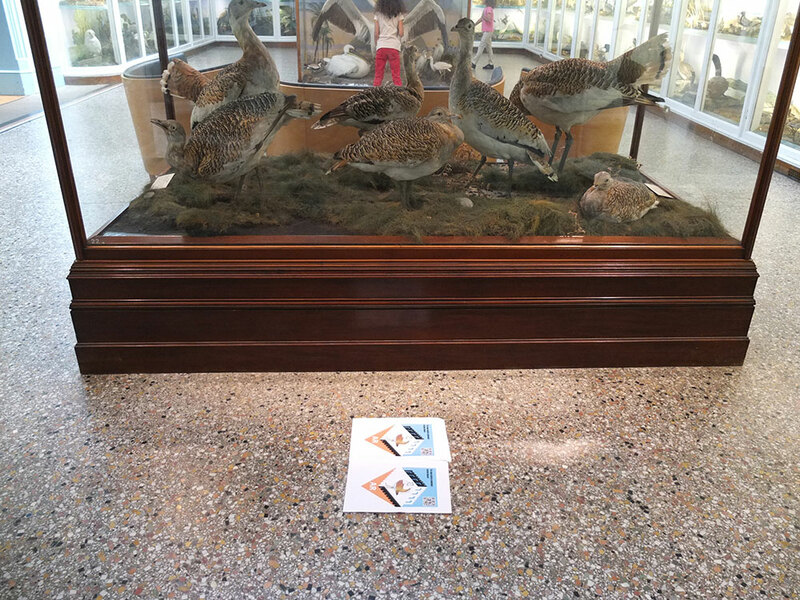 Although those are a little more in the future they are currently beta testing interactive glass on a display case, which gets over a lot of obstacles and really could change the way people interact with exhibits. 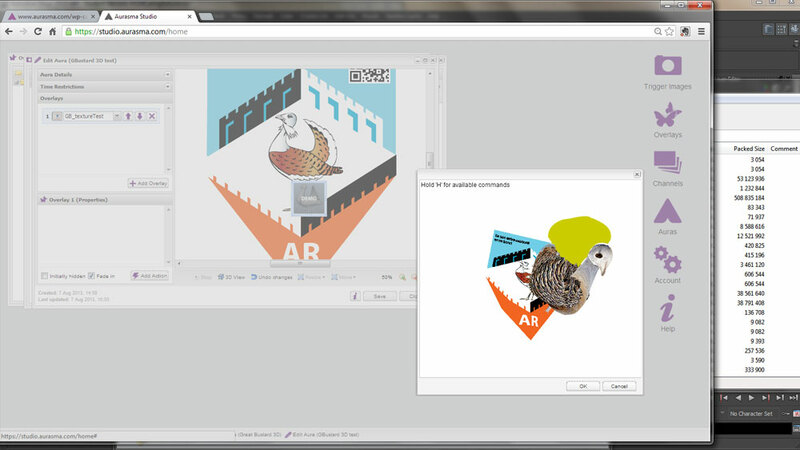 Starting from scratch I needed to create a trigger image, so I took the Norwich Castle Museum logo and combined it with the Great Bustard group logo in illustrator, this gave me a highly identifiable and hopeful intriguing icon/graphic from which to trigger my 3D Aura. This icon would work in conjunction with advertising and leaflets plus promotional press on launch, to create a cohesive and visual campaign, this piece would constitute the floor graphic. On testing in situ though I found it to be way too small in front of the Great Bustard case at A3 and propose that if it were launched it should be at least A1. The next phase was to get as much visual research for my 3D model, so as well as taking full advantage of the display in the Norwich Castle Museum and taking many observational photos I have been in contact with the guys at the Great Bustard group and they have put me in touch with their pro photographer (Dave Kjaer) who has been cataloging the project since their re-introduction in 2004 and he has been kind enough to offer me full access to his entire back catalogue. 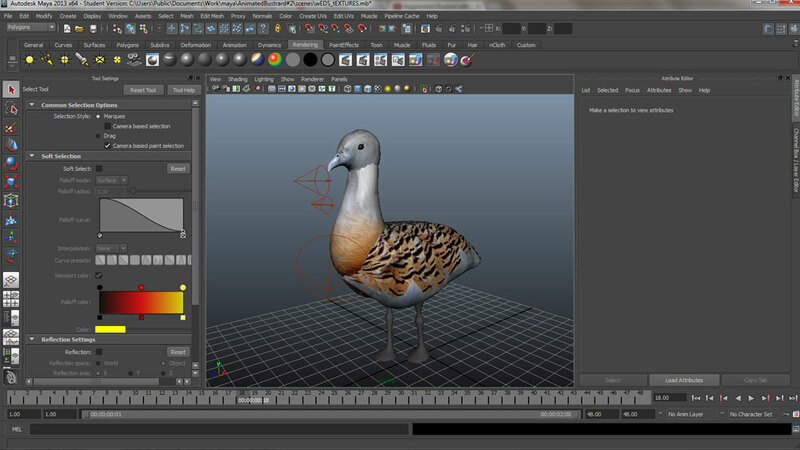 Creating 3D models in Autodesk Maya – a piece of software I have never used before – has been an intense and steep learning curve, just watching the basic tutorials took most of a week. 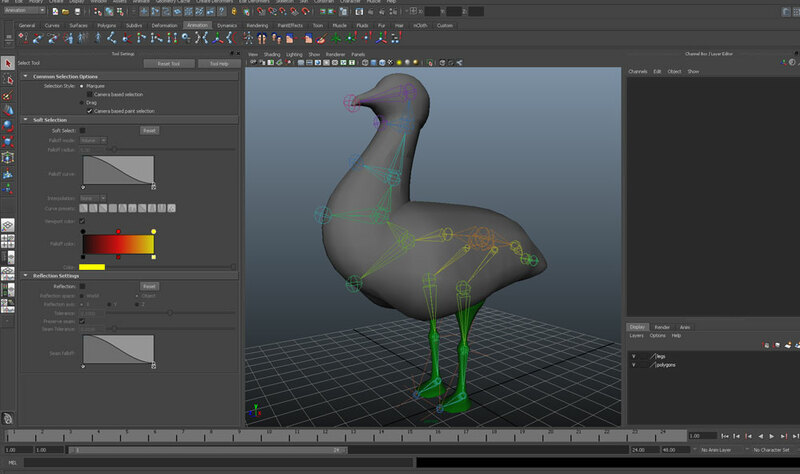 I gave myself the – what seemed simple – task of building the basic shape of the Great Bustard and animating it’s legs within Maya, but because the Great Bustard is an animal all of the shapes had to be custom made to look organic enough. 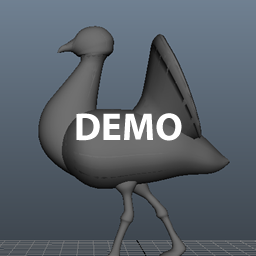 I did create a 2D animation of the Great Bustard’s walk cycle in Flash but found when trying to translate this into maya, it proved too tricky to translate across to be useful, what would have been more worth my while, would have been an onion skin illustration of the movement. From the photos and research images I produced 2 linear outline plane illustrations which when placed into MAYA give me an accurate guide to starting out with the 3D shapes. 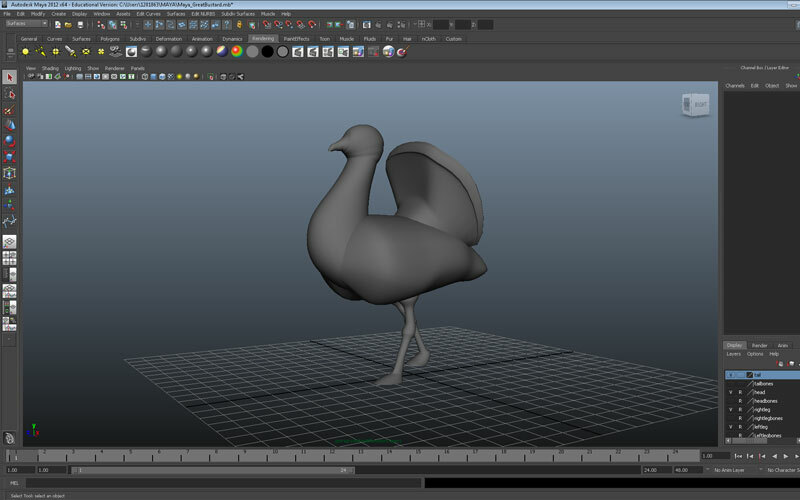 Once I had learnt the controls, I found building the model to be relatively straightforward, not easy, but mostly successful, the tail needs more work and at this point I don’t feel confident enough to work on the wings, but I know that going through this process will enable me to make an improved model, with time. When I took the static outcome to Jon Maxwell at the Museum he seemed impressed with the technology working and my model appearing over the trigger image, but as he was looking at it I knew that it needed to move and have more information available, rather than just be a static model, otherwise it would be a little like the James May app, pretty, but pretty useless. 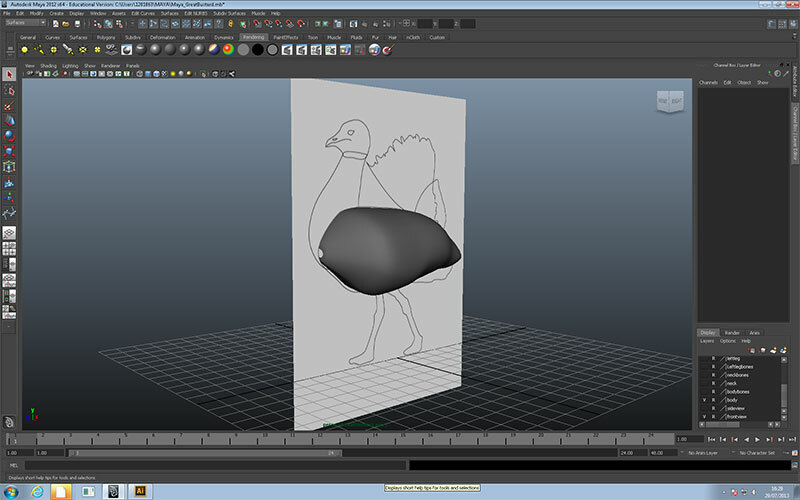 However animating the model turned into a real problem for me, incompatibility between college and home pc’s meant I was unable to use files from college, on which I had created the lion’s share of work in Maya, at home, which had the correct exporter for Aurasma, the next stage of this project. I had to take the decision to strip back my idea to use joints to animate in Maya, as the tutorials would have you do, so that I could test the rest of the process. It may have just been the differing filetypes and working on two very different computers but trying to be realistic with what I can achieve in the limited time for this module has made it possible for me to produce a simpler model which proves the concept works in this initial phase of development. Looking at what I have managed to make I am really pleased with the outcome, I have had so many technical hurdles to get over, not just with learning the industry standard, and therefore very complex, 3D modelling and animating software, but then taking this onto one of the most advanced Augmented Reality platforms, with all of it’s own requirements and compatibility problems. Although my output appears small if you look on the face of it, what has gone into this has been a mammoth effort, I have achieved a good footing on the road of a lifelong desire – to learn Maya/3D digital animation – and looking around at what is being presently used I realise I am really pushing the boundaries and testing processes and uses which means I’m working at the leading edge of this creative movement. The knowledge I have gained putting my masters project through this beta testing stage is absolutely invaluable, I have made some great connections and am really excited by where my work could take me, the potential really is limitless. Today has been an up and down day, I had to go into work, so lose 3 hours straight away. Knowing I was going to be in town I had emailed Jon Maxwell, my contact at the Castle Museum, in the hope he might be about so I can touch base and show him where I am. Luckily for me he was and I was able to show him the working static model through the Aurasma app and using my trigger image. What I realised when I was there and watching him look at it though is the trigger image would need to be much, much bigger if it were to be a floor graphic. I tried it in situ and also took a photo of two pieces of paper in front of the cabinet, but it still was way off the size I imagined it to be, on reflection it would definitely need to be A2+. Also, the static model was so dull I really needed to make that animation work. 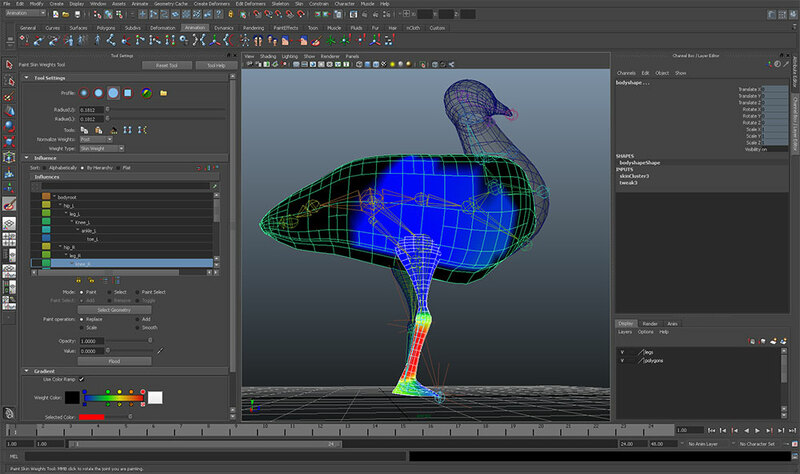 As soon as I got back home I set about stripping out curves, joints, NURBS, animation etc from the static model which had worked in the Aurasma platform, I thought I had better check it, so popped in a couple of lights and started the export process..
Back to Maya, refine the animation slightly, add in some leg movement – this animation will not win any awards, it’s probably the worst animation I have ever done, but I tell you what, it goes through Aurasma again. I try another, the lighting works better now, although the colour is dull, dull, dull. 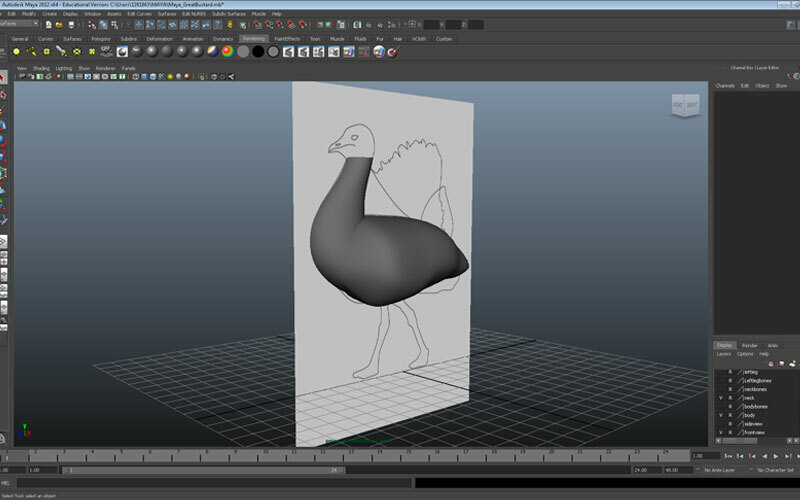 Looking at the model jigging about in it’s awkward animation I think it’s time to add a little more information into the Aura, it looks good, but an animated bird doesn’t get over what the AR can do, this is more than ‘here’s an animated bird’ job done, it’s about getting over more information, if you need it, if you want it. So I quickly work up a couple of buttons and an information box in illustrator. I add these into the advanced actionset in the Aurasma studio and check out the result, I like it, but I wish I could get some texture onto the model. I go back into maya and brave the UV mapper, I re-jig some of my images and fit them onto the shapes, it’s tricky but I get them looking good in Maya. 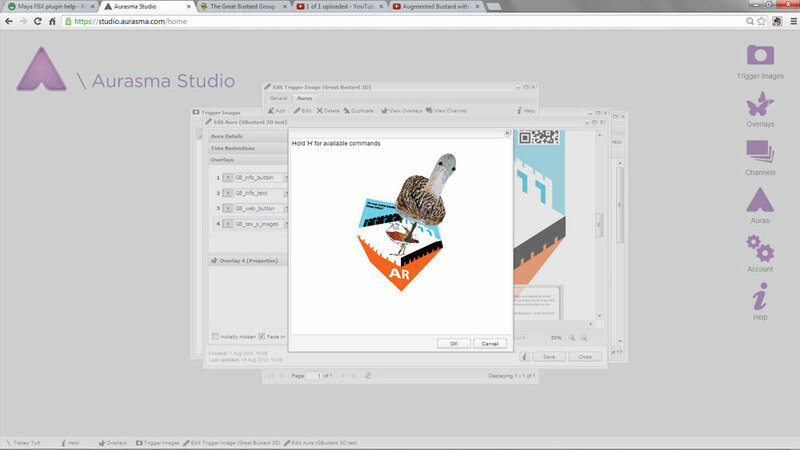 Upon upload into the Aurasma studio in the 3D preview window it still looks good, I am hopeful. I re-jig and refit and reformat the images, but it doesn’t help on the outcome, I now have 16 slightly different files that I have created in an attempt to get this working. Individual texture maps (.png format) must be of a dimension to the power of 2 (we recommend 128×128, 256×256, 512×512 or 1024×1024). Textures cannot be larger than 1024×1024 pixels. Spent most of today going backwards and forwards, from tutorial to live file, from image to UV, even from college to home and I feel as though I have got absolutely nowhere. 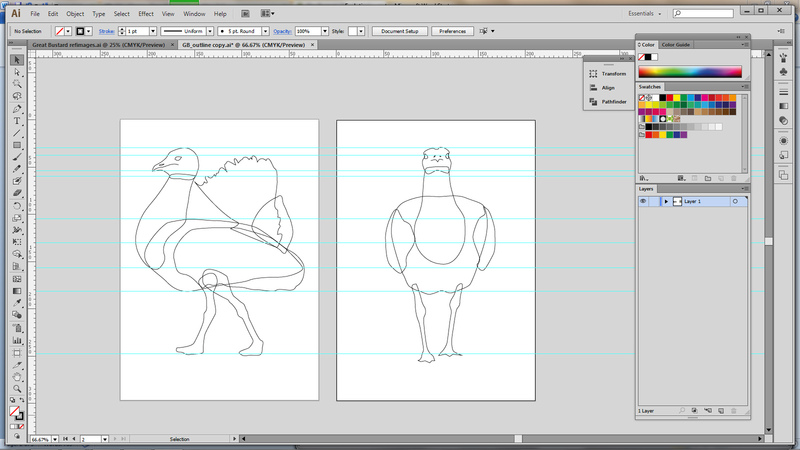 Although I did have a breakthrough with regards to my deformation of shapes with animation. Again went back and looked through all of the relevant tutorials and found one where good ‘ole George Maestri (lynda.com) painted his weights using a colour ramp, not just the black and white that I had been using. Quickly found the tickbox in my live project and ‘hey presto’ that’s where it’s all being affected from. 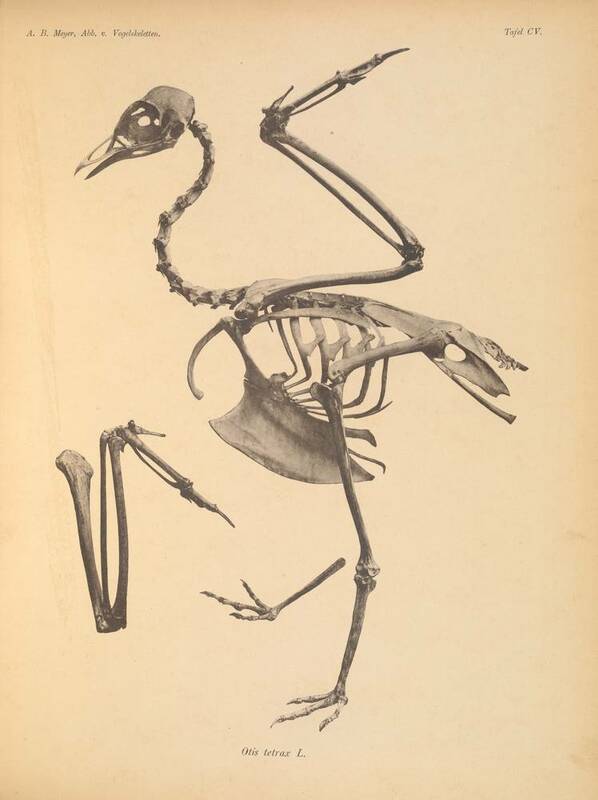 Not only was the top of the leg deforming the front of the chest, but the long neck which goes down inside the body shape was distorting as well. this screengrab shows how the colour ramp lit up the areas which had me scratching my head for most of the previous day. It felt good to get this problem sorted and I merrily painted away those nasty blue deformities! 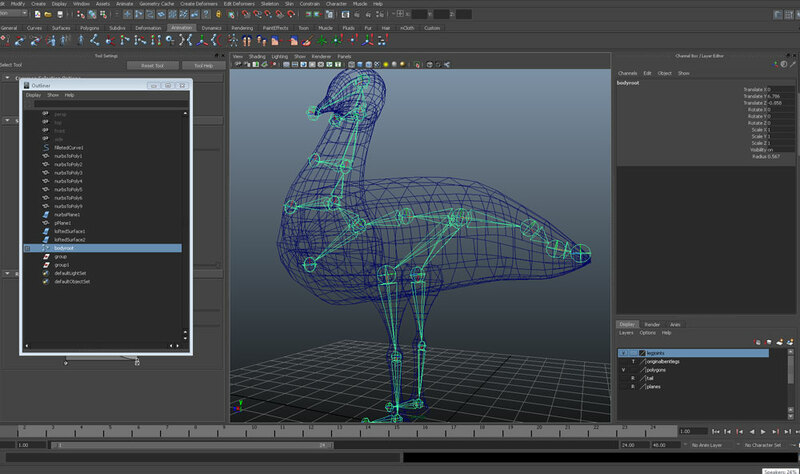 Unfortunately the rest of the day was a total bungle, I wanted to bring this ready to animate model onto my home machine as it has 2013 Maya installed and the Collada exporter needed for processing into the Aurasma stage is within the plug-ins already. I obviously can’t install the plugin on a college computer as I don’t have admin rights. But on my home machine I couldn’t get the file to load up, now I had spoken to resident tech expert Leigh, one of the technicians at NUA about how to assure I wouldn’t have any problems when I got home and thought I had covered all of the bases, but it was not to be. I tried importing, I tried opening, I tried turning my machine on and off, in case of a bug, but nothing worked… I couldn’t continue with the rest of my planned day, it was already 2pm what to do…? After a cup of coffee, I no choice but to go back into college and again bother Leigh with this silly problem. Fortunately he was still in and free to go through with me on the college machine exactly how the file hierarchy works and where to open it from – by the way never ever import (tip from the top) – but to my annoyance what he showed me meant I should have been able to open it at home… But, but, I decided to make a new project folder and hope that this would aid me in my efforts to open the right damn file when I got back. Leigh said I was doing really well, which is very kind of him seeing as I have done nothing but bug him for the last two weeks, but not being able to open a file is just unheard of for me… Back home I went. I can’t open the file… I couldn’t open this cottonpickinhotename file… aargh, I’m going to give this up, it’s now 4pm and I haven’t achieved anything, I wanted to do so much today, I wanted the animation nailed. But I’m stuck not being able to load a file…. 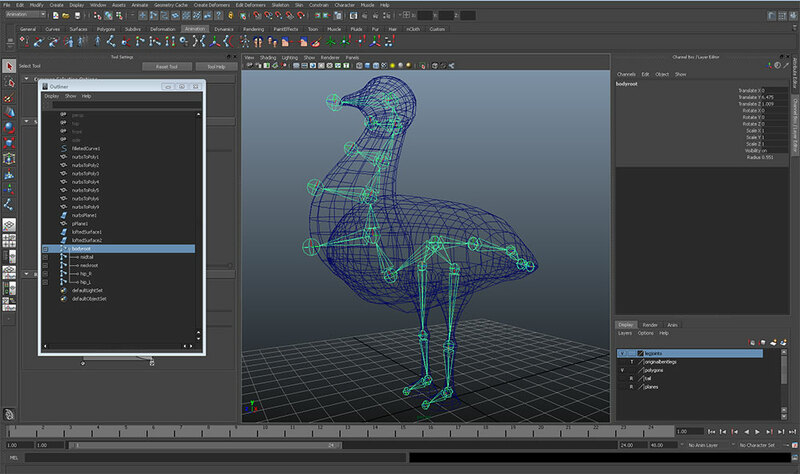 Right, back to the old days, associate the file with maya – which I really shouldn’t have to do – all of the tests files/models I’ve done solely on my home machine show up as a lovely maya file, but none of the ones from college, I can see them but I cannot open them. Success…. sigh of relief, quickly save scene as onto my machine. right at last onto the animation, god this is hard. 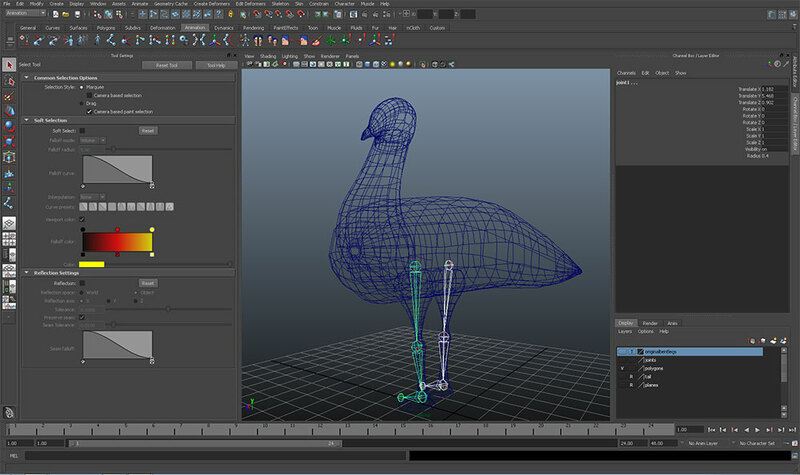 I had rigged up some IK rigs for the leg and proceeded to try and animate with them, but it seems so fiddly, if I want to animate the body – because it’s currently a seperate shape – I have animate it by itself and set it’s own keyframe, if I click off of the body I can’t see where the keyframes are, try the dopesheet says George, um, ok don’t understand that. Move something accidentally – now I’ve shifted my whole model… oh god, this is a horrible nightmare of animation… ok, ok, lets just do a few simple moves, so delete everything, start again and just do a few frames, then test that through Aurasma, see if I sweat blood and tears over the animation, if it will even work. I’ve had a few weird things turn up getting the static model into Aurasma. 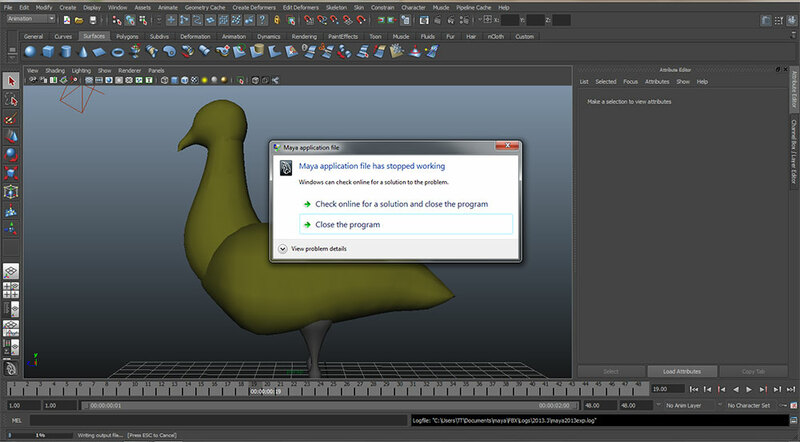 Great, Maya won’t even export the .dae file I need, keeps coming up with errors about nodes and maybe I might want to update my .dae plugin.. ok I dutifully update it, go to export and same error message.. that was worth my while then, then the error log has a problem with some of my objects, I look in the outliner and it is referring to my ik joints…. so I delete them, it buggers up my animation, so I patch up a few keyframes and try again… no, it cannot find my bind poses now….this time it suggests maybe I might want to bake my animation…. I do everything I can. 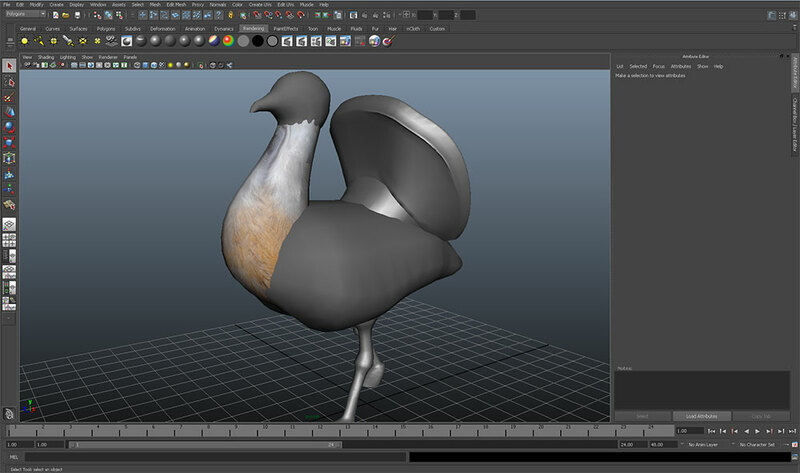 At the end my Great Bustard is just gliding along the floor as I’ve removed every single thing I possible can and this time maya exports it…. 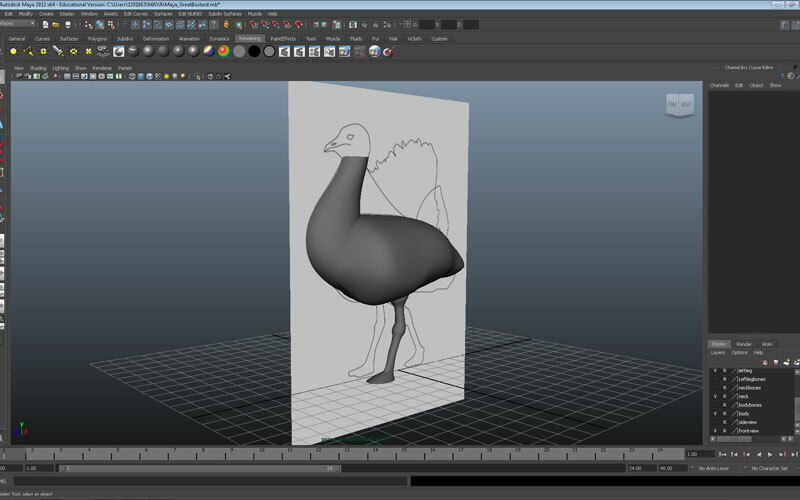 After managing to create my first 3D model of the Bustard in Maya, it’s now time to test it through Aurasma. 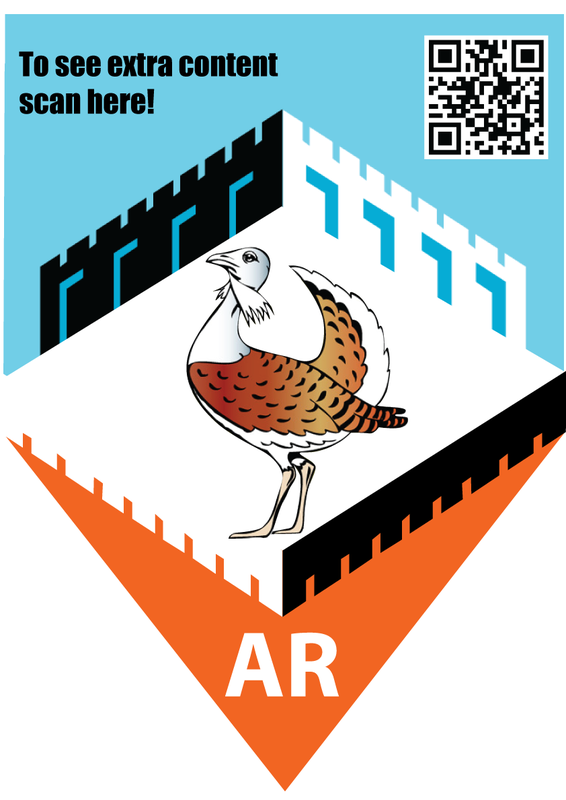 My trigger image is made and slightly updated using the full colour logo from the Great Bustard group. 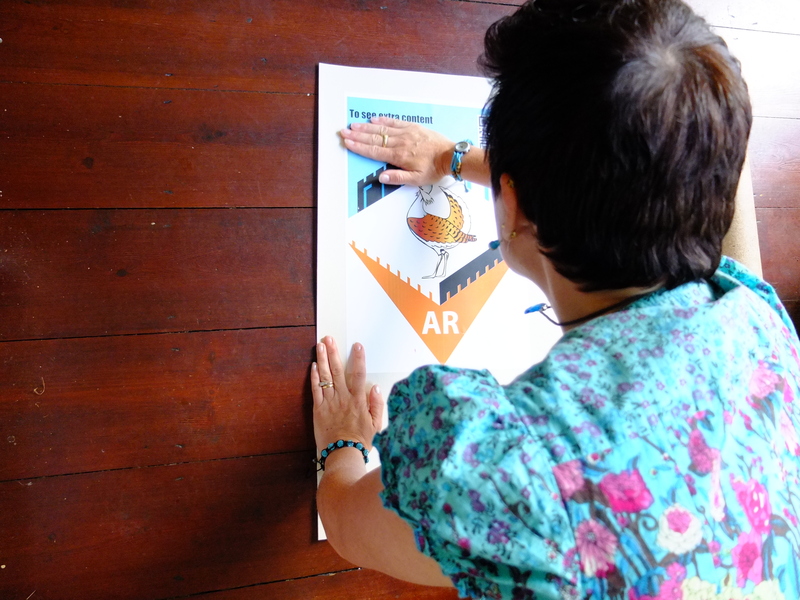 I think it works much better as a visual key as to what you are going to see when the Augmented Reality appears. It also means that there is more ‘uniqueness’ to the icon/trigger and therefore should be easier for Aurasma to identify the correct overlay, as I have had icons that are too similar confuse Aurasma, so the more complex it is the better. 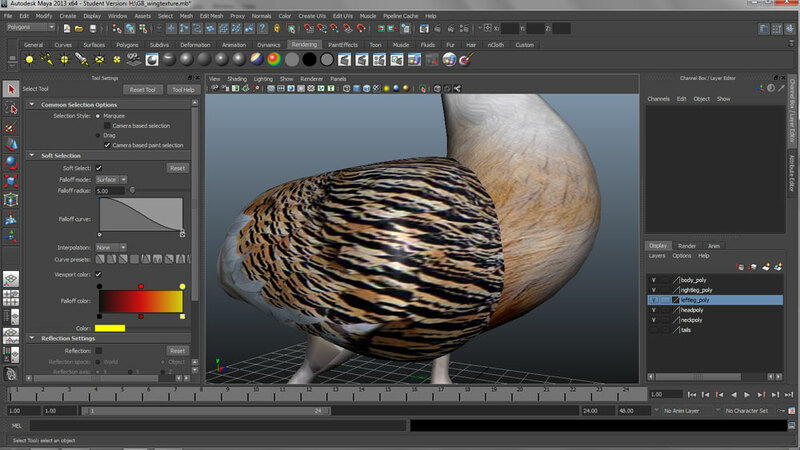 First you have to get your 3D model ‘Aurasma’ ready, this means I need to export it from Maya as a collada (DAE) file, fortunately since finding the exporter online, I find that Maya 2013 has this function built in, so don’t even need to download it. So export your .dae. then combine these 3 elements into a .tar folder (much like a zip file) I used the free 7zip software. Now it’s ready to go onto the Aurasma studio and load up your new trigger and overlay. The trigger for Aurasma must be exactly the same image as your printed trigger, then you add an aura, which is the 3D .tar folder. you have a few controls with which to place your 3D model, then it’s a matter of pointing your device at the printed trigger image to see if it works! I also UV mapped a couple of textures, namely the wings and the head as you can see from the Aurasma studio screenshot, but these don’t show up when it’s live. I think this is a problem with the lights, with the size of the mapped images, with the different mapped images and maybe with the file type they are, Aurasma asks for png’s but I put in jpg’s just to see if they appear, and they do, the neck is a jpg not a png, but you can see that it is not correctly mapped. 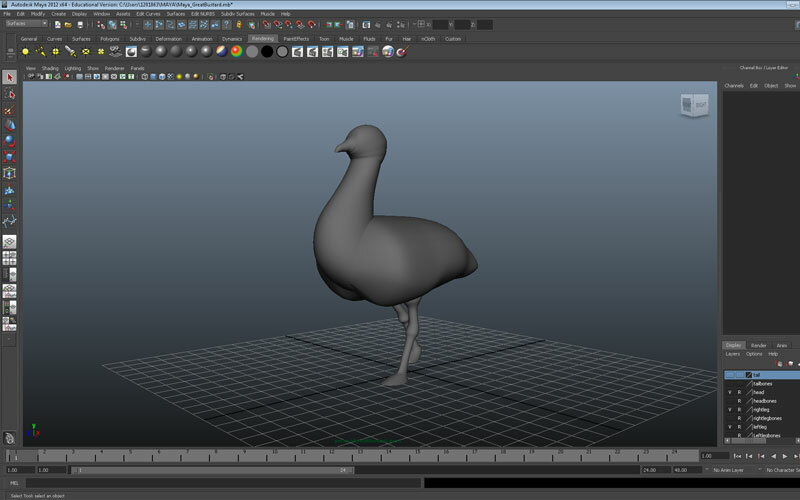 At this point I want to move on and try to animate the model’s legs, then I will revisit the UV mapping problems, I’m sure i can tweak it all to get it working through a bit of trial and error, but in principal, it all works, as a process it’s successful, I just need to be careful how I implement it. 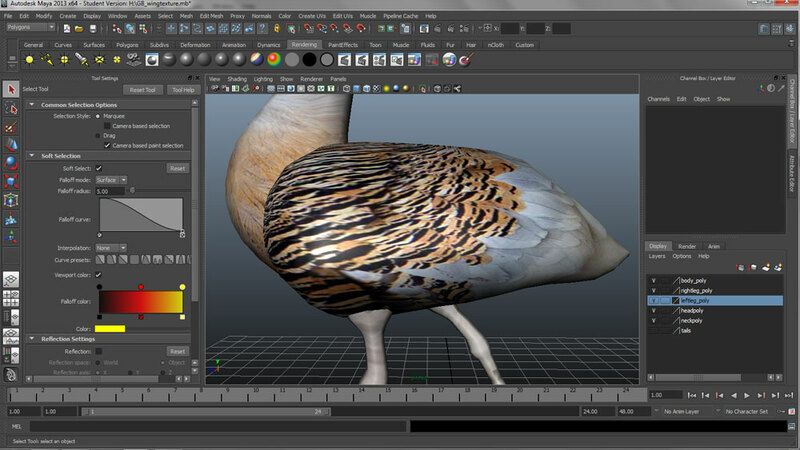 After making my basic model in Maya, I really wanted to use the UV mapping controls to get some texture onto the model, to make it more realistic and to see just how complicated realising a virtual bird might be. I couldn’t edit a planar UV on a NURBs item so converted all of the model into polygons, but the tools just weren’t showing me what i expected to see in the UV editor port. Logically working my way through the fish example, I took notice of what the information and assets panel was telling me I was working on, and I realised that when I converted the NURBs it had left the original in exactly the same place, I had two models overlaying each other, so when i was selecting it, I had both bits, being careful i unpicked the polygon model from the original NURB and then set about editing my UV map, at last I could see what I expected to in the UV port and actually got somewhere with my model.. I won’t let the software beat me!! This side close up shows the best bit of my UV mapping, really pleased with how it fitted in the end, and a big thanks to Leigh who helped me work through the finer points of UV mapping, including how to take a snapshot of the UV map so I can take this into photoshop to work my original map more intelligently.. looking at the finished placement, before it even gets there! note to self, right click on the word ‘transparency’ to delete the link if the image appears slightly translucent. 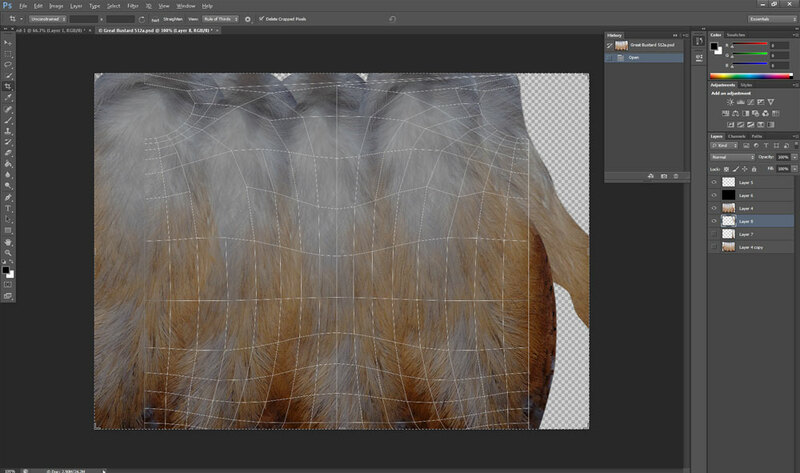 Image shows UV map in photoshop. This image shows the mesh created from a spherically mapped UV. After reworking the mesh, it fits onto the neck piece with much less fiddling with. On this left side close-up you can see how the shininess of the material in Maya makes the UV mapped image less believable… I’m sure there is a way of knocking this shine back and perhaps using a bump map to add a small amount of texture to the model’s body. Definitely need to work on that eye! Just to see how it would come out I coloured the tail a block yellow so I could see what happened to it after being exported, compressed and uploaded onto Aurasma… In the Aurasma studio it did look very similar to how it appears here, but, when you view the live Aura, most of the mapping is lost, but I think this is mostly to do with the lighting, or that’s what I’m hoping. Lino – the non-sticky sticky stuff…. So, for my trigger image I wanted to apply it to some lino, the lady in Carpet Right was so helpful and got me an enormous offcut of perfectly ordinary tile lino, brilliant I thought, that is going to be perfect. After completing my trigger image, I printed it onto my A3 self adhesive vinyl stock and got ready to apply it to the piece of lino. Being used to dealing with sticky things applying themselves to anything but where you want them I was ready to have a bit of a fight with it, but it didn’t even stick! 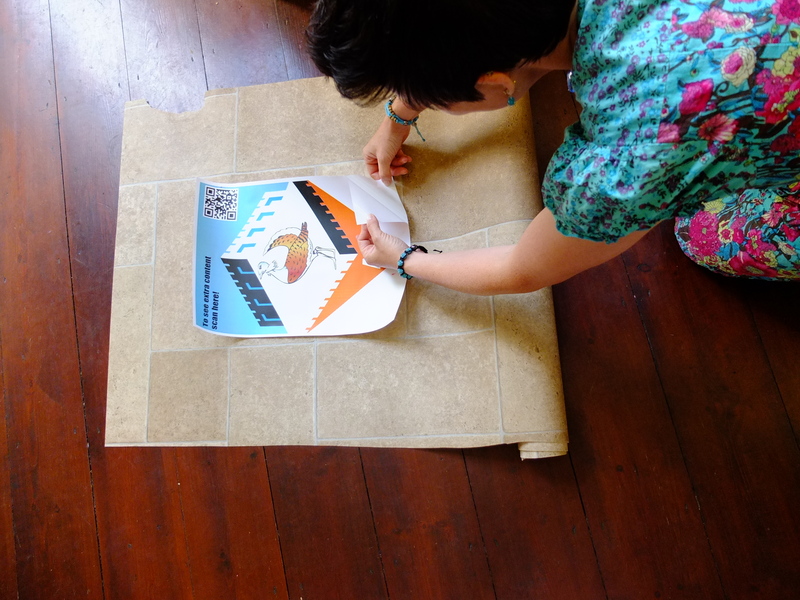 The vinyl just wouldn’t adhere itself to the ’tile’ side of the lino… so I tried the back. but again, it just wouldn’t stick. I really didn’t foresee this problem. I have tested this media on walls, fridges, radiators and windows and it adheres really well, but it was having none of it with the lino. This part of my SNU project will just have to be totally re-thought, but I don’t think I have time to complete an alternative for this deadline, but would see in the future, perhaps printing directly onto some sort of lino/canvas media. 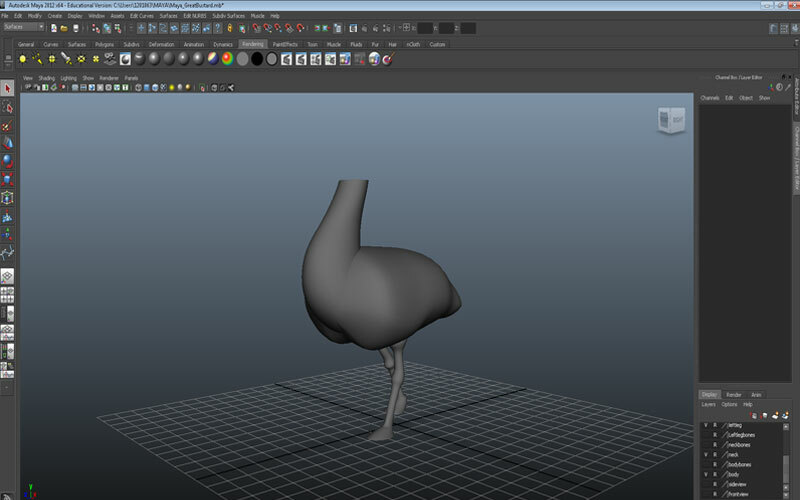 First day totally immersed in MAYA, very pleased with most of the model, all bar the tail, will need to go back into this and re-model, but pleased with my first attempt, it seemed so easy in the tutorials!!! 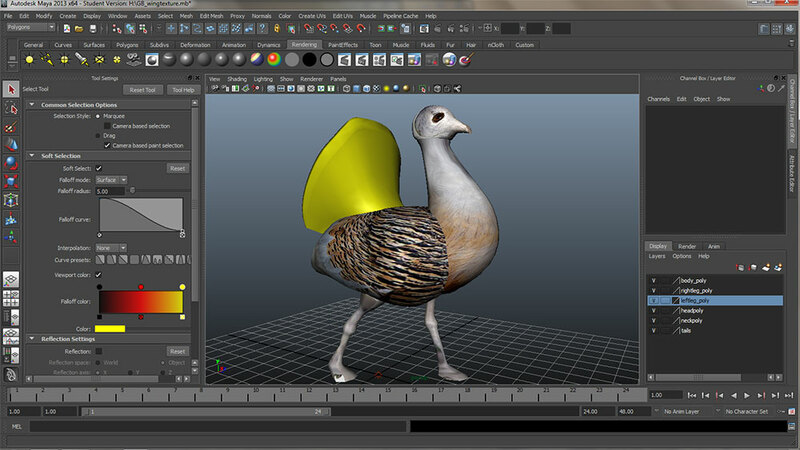 I spent most of last week watching MAYA tutorials on Lynda.com, this week, I start making my model. I liked one of the tutorials which used a line drawing to place all the elements of the character into a good relational model so have worked up a really nice side view with seperate components, or how I see myself making the model from more than one piece of ‘model’. This is the side view which I was able to closely follow from a fantastic photograph of a living Great Bustard. 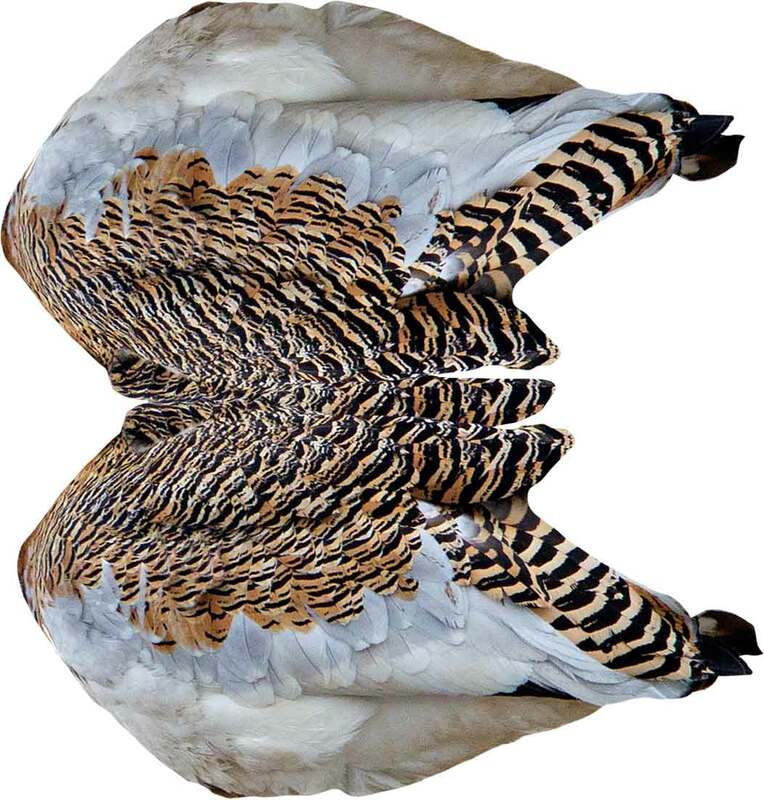 Unfortunately for me, front view photos of the Great Bustard are hard to come by so I have had to make my best guess for this, but after contacting the Great Bustard group itself, I’m hopeful I will get some better source material so I can update this rather ropey front view. 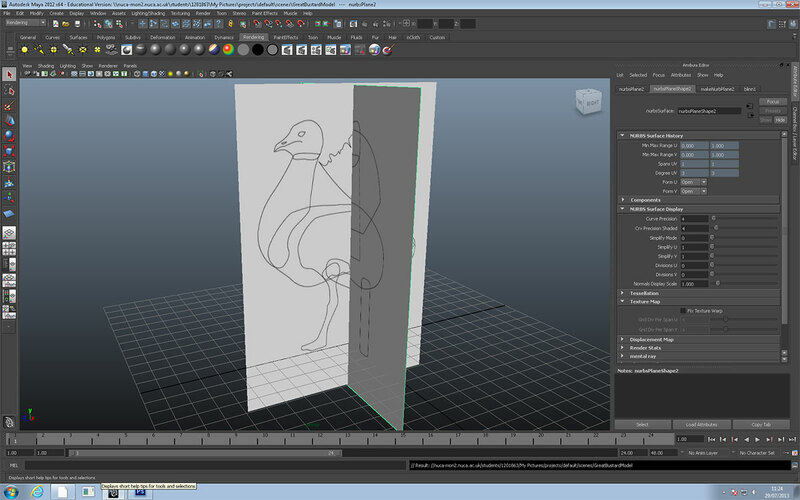 Then here are the starting diagrams placed onto a NURBs surface in MAYA, ready to go.